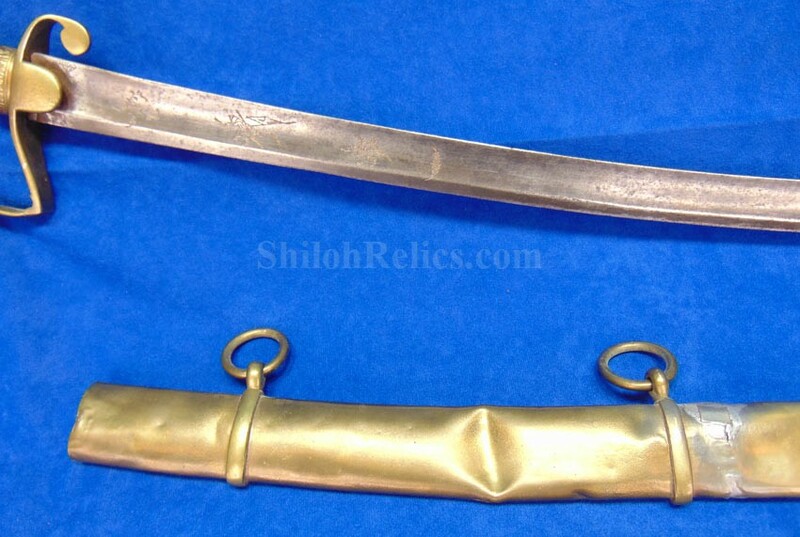 Here is a cool looking sword! 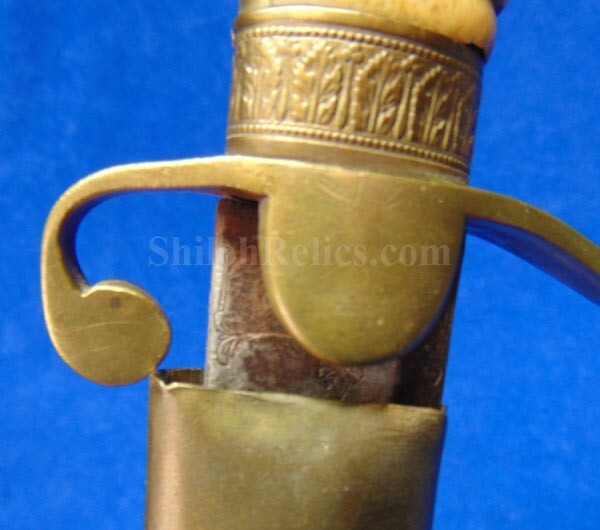 This is the style that has the backstrap and pommel cap made of brass with the smooth surface. 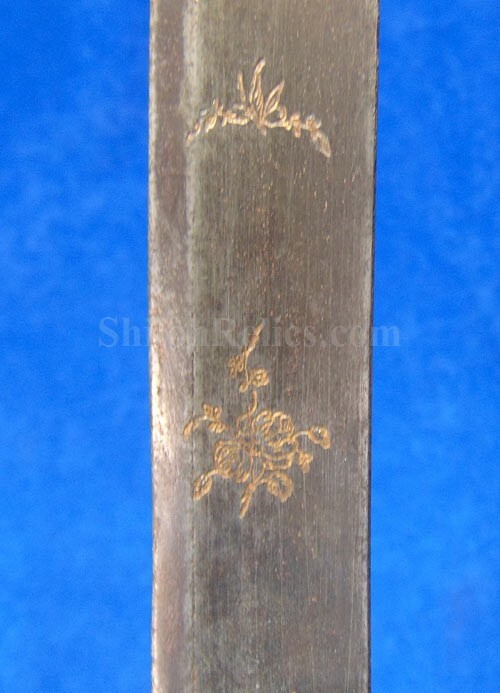 It is a very high quality construction and is very beautiful as you can see in the pictures. 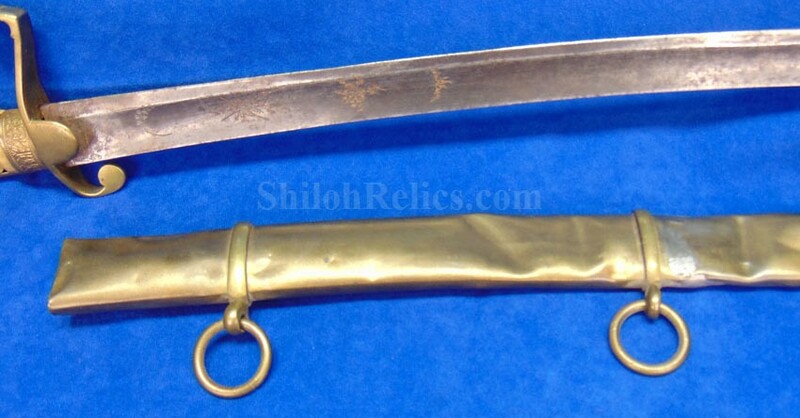 This sword would have been made in the 1820’s or 1830’s. 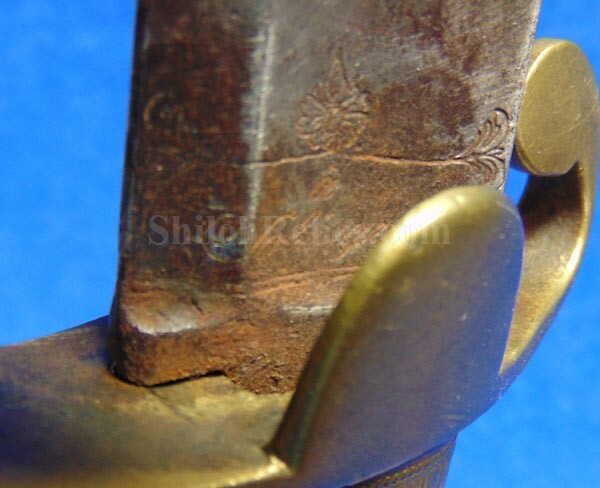 This pattern is has the curved artillery style blade. 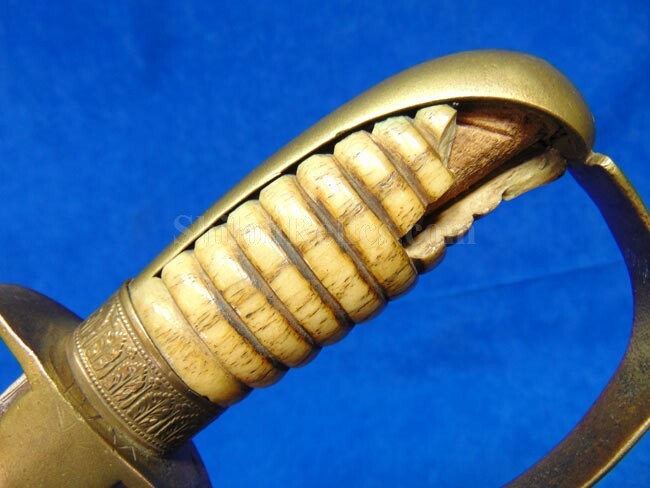 The hand guard and pommel cap still have a gorgeous honey color look to the brass. 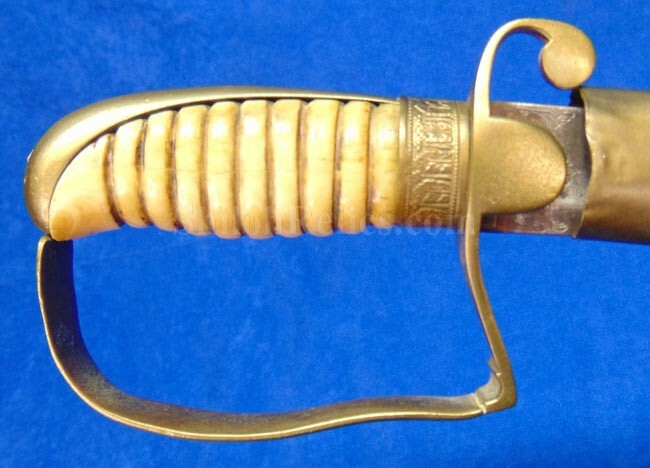 The hand grip is original to the sword and it is made of a high quality piece of ivory with a pleasing golden tan tone. 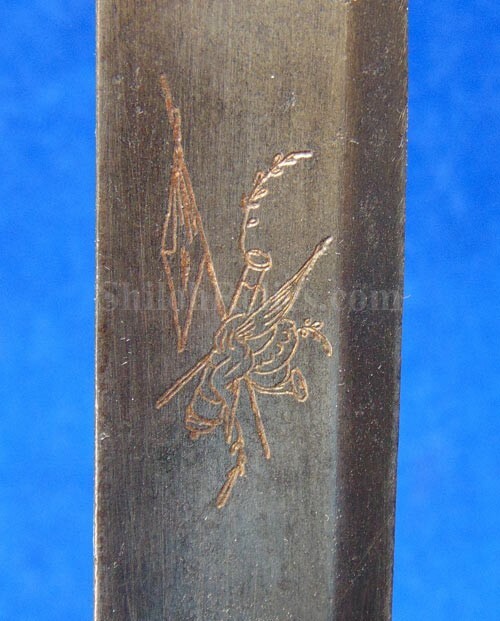 It has the chunk missing out of the grip and it is priced accordingly. 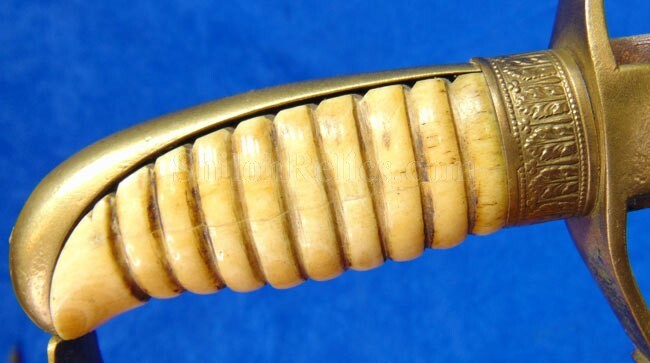 At the base of the grip, it has the Widman style floral brass band. 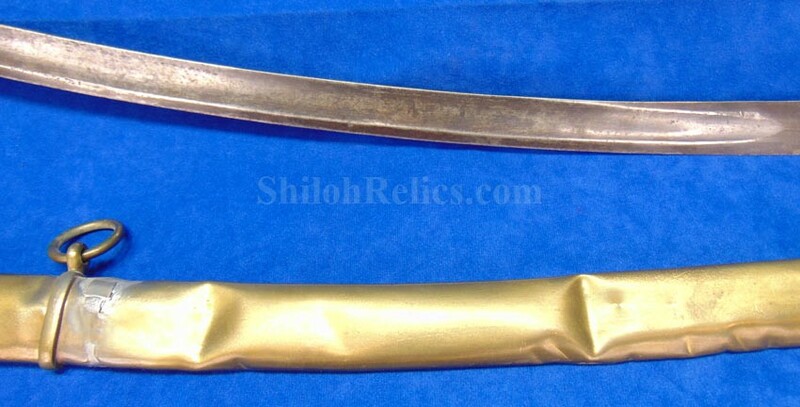 The blade is full length at 27-3/4th inches. 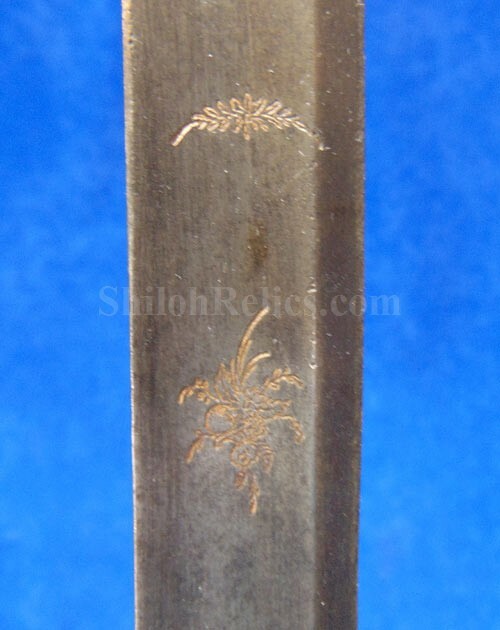 On each side of the blade it has the engraving on each side that depicts floral and patriotic designs. 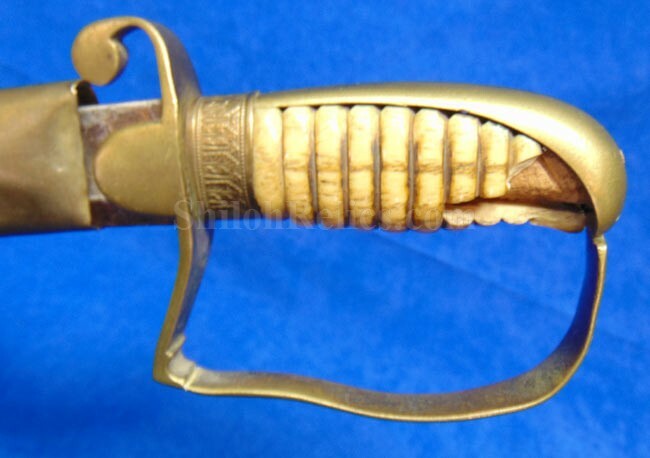 One thing that makes this one special is that it still retains the brass scabbard. 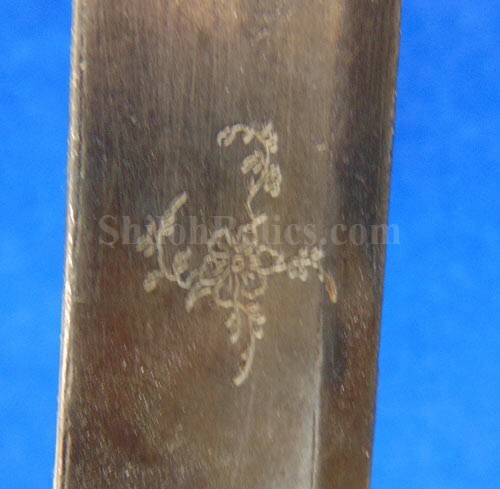 With the wide sweeping curve of the blade most of the time these scabbards have broken and are no longer present. 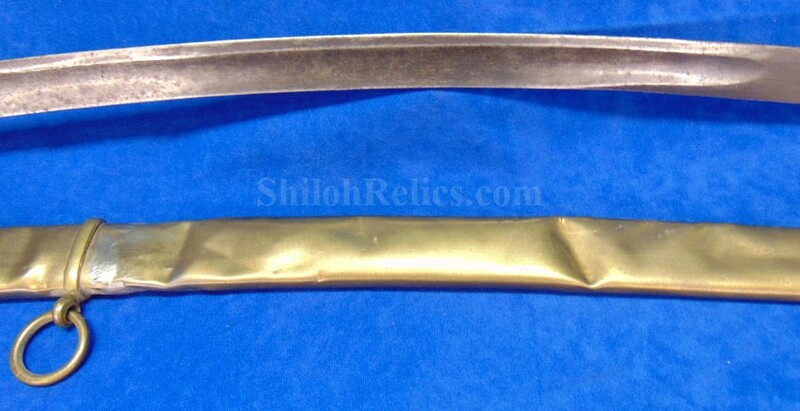 This one is in rough shape but is still present. 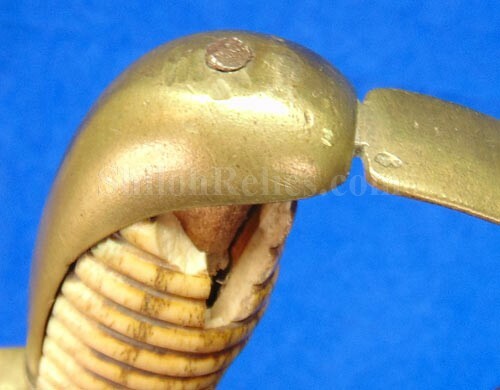 It has the mounts, rings, drag intact but the throat is missing in action. 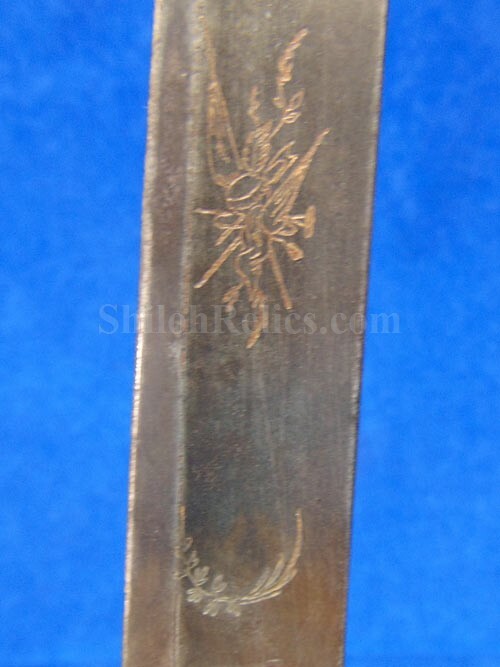 It isn't often that you see one of these so don't miss your opportunity to own this cool looking sword, especially for the price.